Prior booking photo of Jason Keith Walden (05/27/1973) / 45 Year Old White Male. 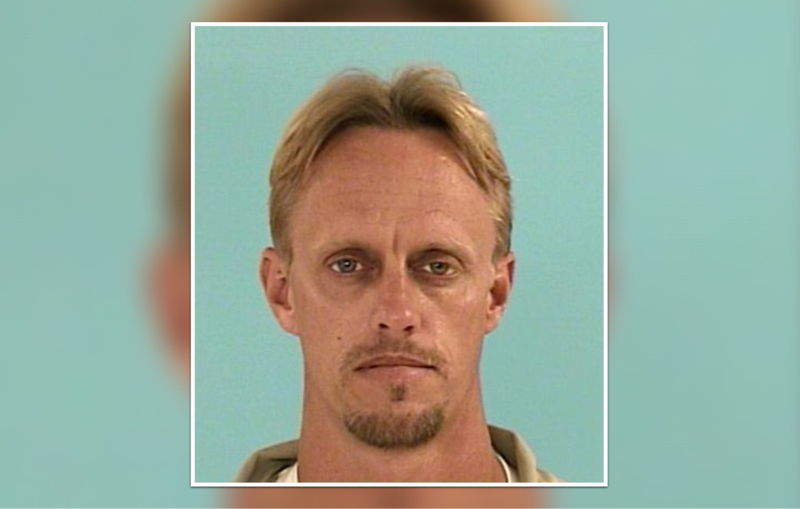 Harris County, Texas – November 24, 2018: Police are actively searching for 45-year-old, Jason Keith Walden of Harris County, Texas. Walden is accused of stalking, threatening to kill and eat the children of a Precinct 4 Constable Deputy. According to court documents, Walden use to live next door to the Constable Deputy. Walden contacted the deputy over 100 times during a three day period using fake Facebook profiles under the name of Alisha Will and Gucci Man. The deputy identified himself as a peace officer and asked him to stop calling him. Walden stated he intended to kill the deputy and eat his children. Walden has been charged with the Felony offense of Stalking and has an active warrant for his arrest. If you have any information on Walden’s whereabouts, contact the Harris County Precinct 4 Constables Office at 281-376-3472.